Samuels joined the Bengals in 2007 as an outstanding player from Jamaica. 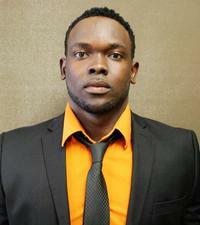 Samuels represented Jamaica at the Under 17 and Under 20 level before coming to UMFK. While at UMFK, Samuels manages to play in 73 games of the 80 games played and post a record of 80-4-3. Samuels posted a personal record of 7 goals, 20 assists, and 34 points as a defender. Samuels won the sunrise conference all 4 years as a Bengal’s and All-tournament team player in 2010. He was NAIA Academic All American 2010 and 2011 and was part of the team who won the USCAA Championship in 2010. After graduating from UMFK, Samuels spent two years as one of the Graduate Assistant soccer coaches at Union College in Barbourville, Kentucky where he also completed a Master’s Degree in Education Leadership. Upon his return, he assisted the Men’s Soccer Team in 2014 where he helped build the program to win two USCAA championships. He also serves as the International Student Advisor/instructor at UMFK. This is Samuels’ first season as Head Men’s Soccer coach. Samuels is using his prior playing and coaching experience to help guide him through various challenges and situations that may arise; whether its tactics on the field or the relationships built off it. Samuels is looking forward to getting to know the players personally and find out how he can build on the foundation that has already been laid. Samuels also coached the Fort Kent (Warriors) Boys High School soccer during the 2017 season. He led the squad to14-2-2; won the Northern Maine championship and runners-up in the State Final. Samuels also coach at the Semi-Pro level for Knoxville force.